The Aquarion Water Company is again seeking to recognize volunteers whose efforts have protected or improved Connecticut’s natural resources – its air, water, soils, or plant and wildlife communities. 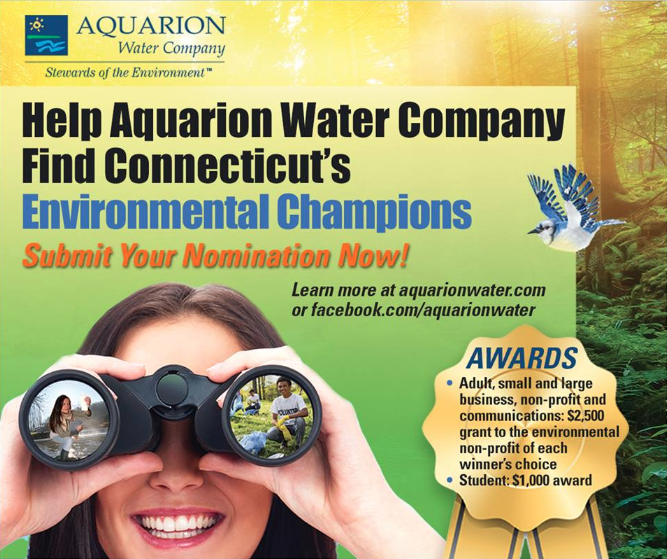 For the ninth year, the company will select winners of its Aquarion Environmental Champion Awards in the following categories: Adult, Student, Small Business, Large Business, and Non-Profit Organization. Awards will include a $1,000 award for the Student (grades 9-12) winner and $2,500 contributions to environmental non-profit organizations selected by the other winners. 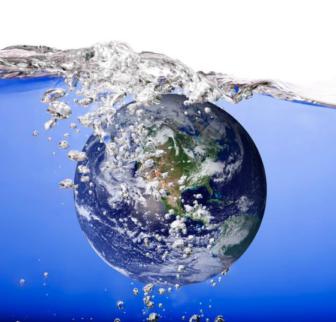 Aquarion also believes that raising awareness of critical issues connected to our state’s environmental health is more important than ever. This is why the company has added a new award category – Communications. This category is open to both individuals and organizations who have used traditional or digital media to help protect, report, or create awareness about our natural resources by informing the public through their communication efforts. Winners in the program’s Communications category will have the opportunity to select an environmental non-profit to receive a $2,500 grant given in their name by Aquarion. 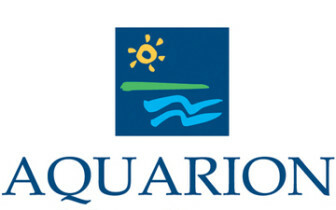 Aquarion will honor winners on June 1, 2019 in a special event at Connecticut’s Beardsley Zoo in Bridgeport. The deadline for nominations is May 1, 2019. Self-nominations and re-nominations are welcome. More information is available at the Aquarion website and Facebook page.